Lol i just beat the game it was AAAAAWWWWSSSSSOOOOMMMMEEEEE!!!!!!!!!!!!!! I just finished it. Used health cheat and won. This game it's really Awsome!!! I finished it too! phew! I finally made all of it this far. MAlefor The 1, if your just going to be stupid. And insult the game, dont say anything. All the rest of us agree that the game was MINT AS!!!!!!!!!!!!!!!!!!!!!!!!!!!!!!!!!!!!!!!!!!!!!!!!!!!!!!!!!!!!!!! 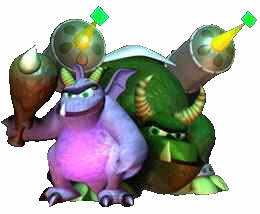 Hey Awsome Sparx. Iv also got Plasma dragons! About ten of them. Theyr cool as. After you play Malefor's lair enuf times. You dont need to roll out of the way, just fly in certain ways. Its easy enough. Yeah, the same thing happened to me, until I got used to roling, dodging and avoiding them. Malefor looks so cool! He's like this plasma dragon my brother has. That noble but evil look. HOW ARE YOU SUPPOSED TO ROLL OUT OF THE WAY????? the big orange fireballs follow you. I tried to get out of the way and it was like, NOPE! NOPE! I'M GOING TO GET YOU! i thought this game rocked!! !iblove LOS series! Well i hav a comment.. I really expected somethin better but eternal night is much better than this .